Geneva, March 2014 - In a world preview, Italdesign Giugiaro presents its brand new concept car, Clipper: a sporty, versatile MPV which is also eco-friendly, thanks to the all-electric drive and power source. 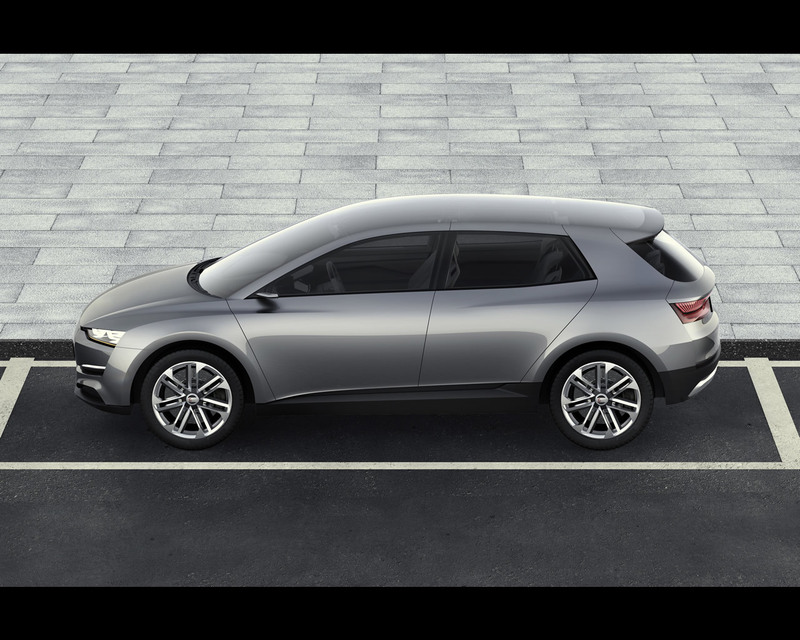 Ital Design Clipper is the result of a study in style and engineering focusing on tomorrow's world and cities: this sporty MPV has a technological spirit and a green heart. 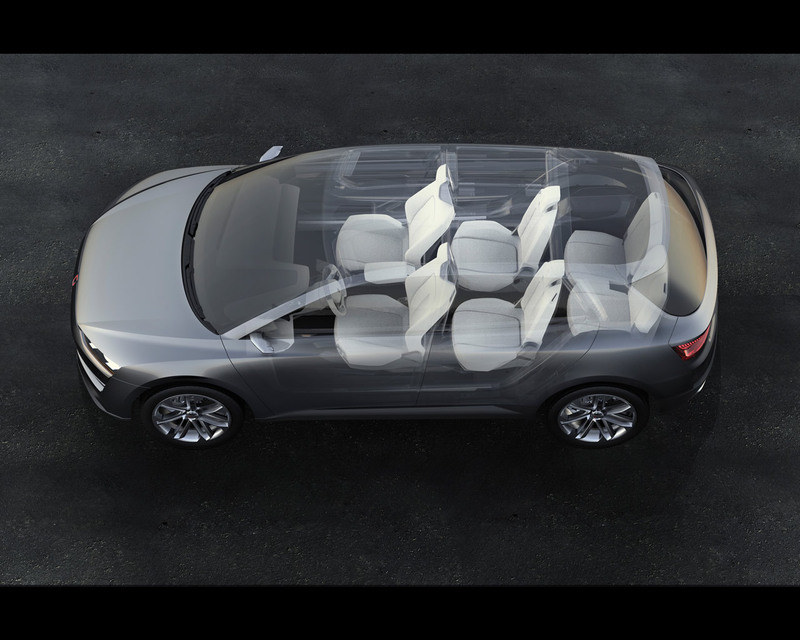 Thanks to the versatile MQB modular platform developed by Volkswagen Group, it can accommodate up to 6 people, seated in three rows of two seats; it features an electric powertrain comprising two 110 kW engines, housed one up front and one at the back, guaranteeing a range of 540 km. It has four-wheel drive with fully independent wheels. The battery packs are housed in the floor, specially designed to afford maximum protection against accidental impact from the road while driving. 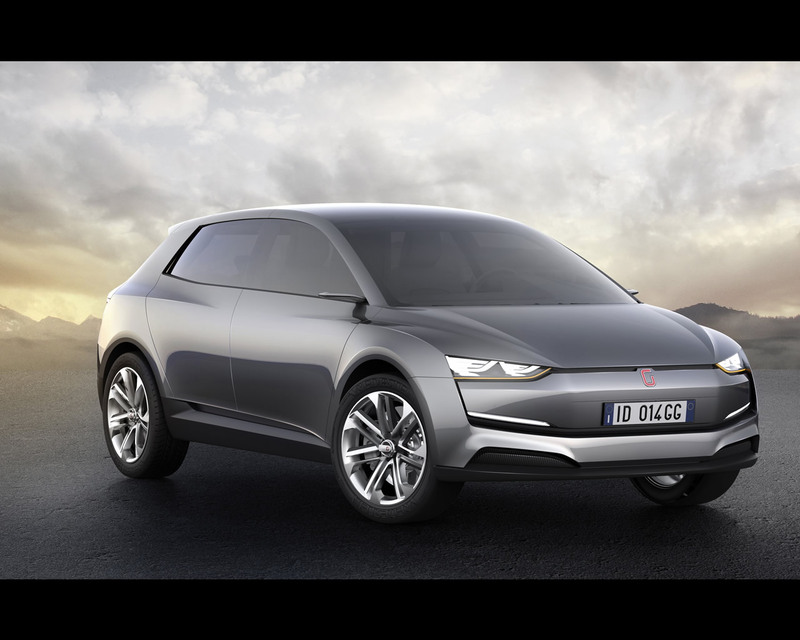 Ital Design Clipper was designed, engineered and built at the Italdesign Giugiaro plant in Moncalieri (Turin). 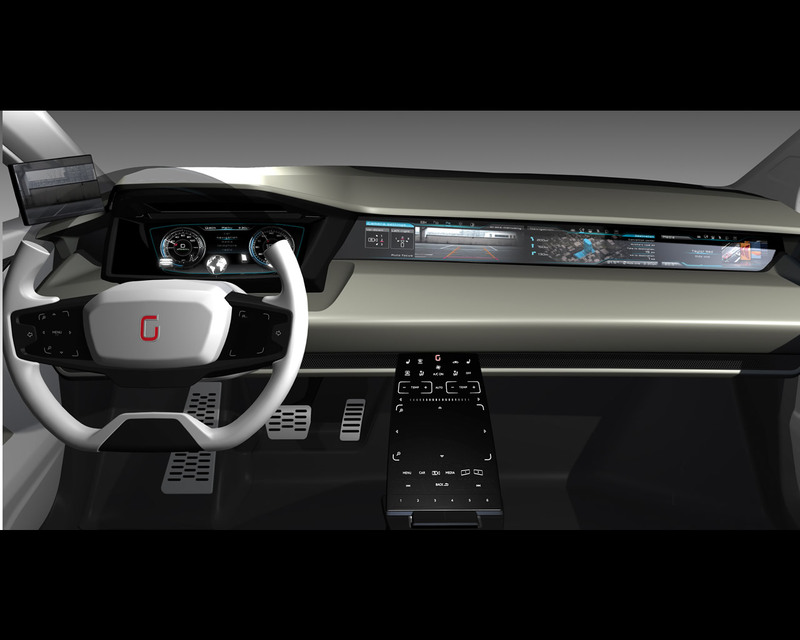 The design for the passenger compartment's outfit of Ital Design Clipper represents the true revolutionary element of this concept car. 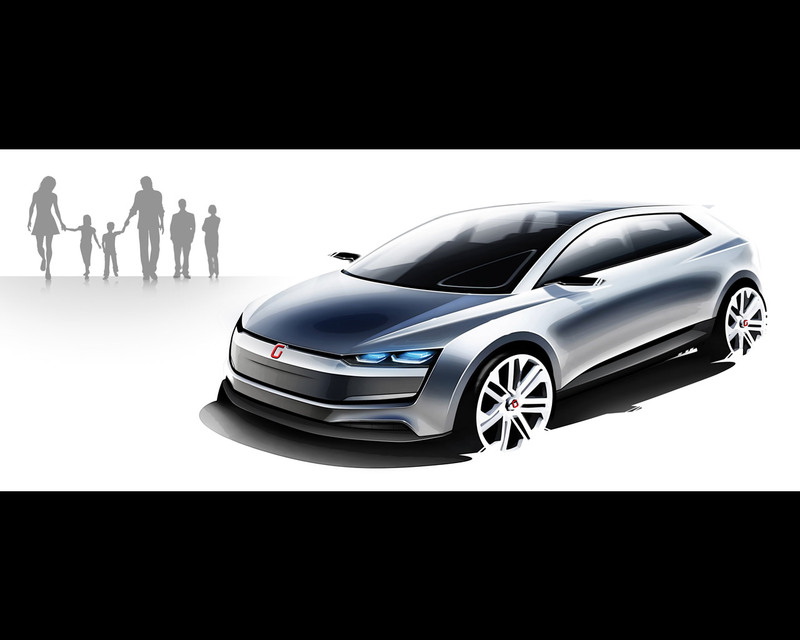 Effective use of space, combined with original and highly innovative architectural solutions, not to mention the use of brand new technology that emphasises user-friendly, intuitive design, makes Giugiaro Clipper a veritable automotive research & design lab. 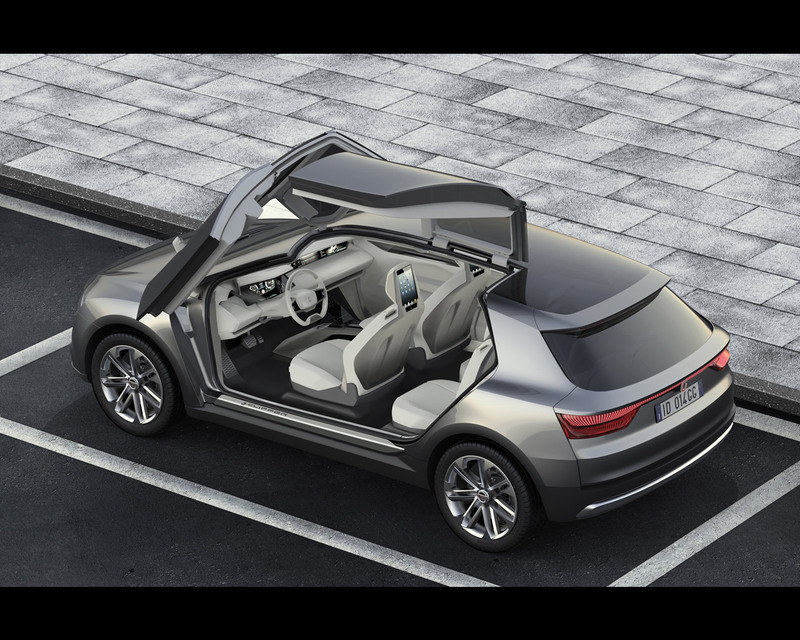 The six occupants can all get into the car at the same time thanks to the simultaneous opening of the doors and the absence of the B-pillar: with this architectural solution, Ital Design Clipper offers one single, wide opening for access to the interior. 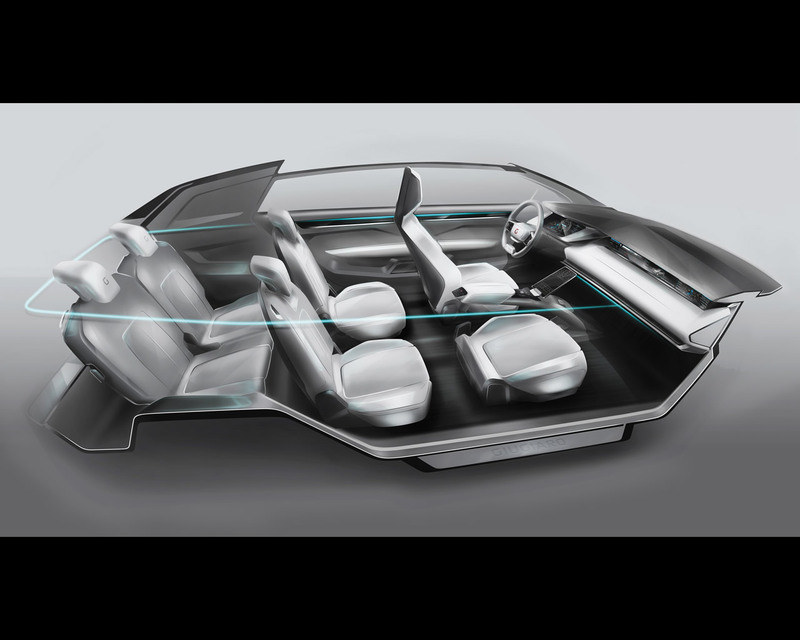 The typical electric vehicle architecture with flat floor allowed the designers to exploit the space between the seats and create an innovative mobile tunnel with 11” touch-screen. The almost complete absence of conventional buttons, replaced by graphic touch-screen interfaces, has made it possible to exploit the latest available technology, for lighter surfaces and simpler controls. 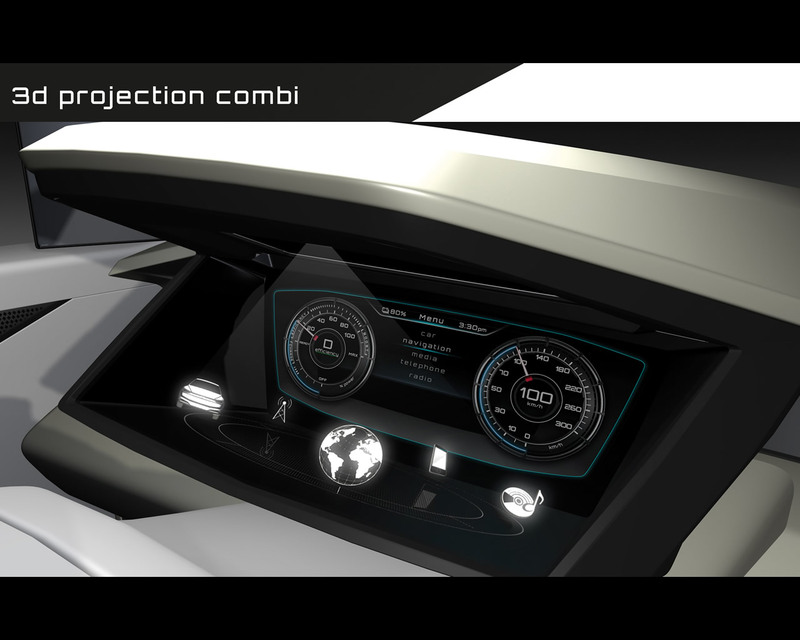 The touch-screen on the central tunnel groups together all the climate control and infotainment controls. The only buttons present are the start/stop button for the powertrain, that for gear selection and the electronic handbrake, integrated in the armrest. To the side of the armrests are the door opening buttons. The tunnel can be fully adjusted electronically by means of two buttons located on the front seats: the touch-screen folds down for discreet storage under the cushion; the tunnel structure has a stroke of 50 cm and can be slid fully back to facilitate movement between the driver's seat and the passenger seat, a useful option in the event of an obstruction preventing exit from one of the doors. 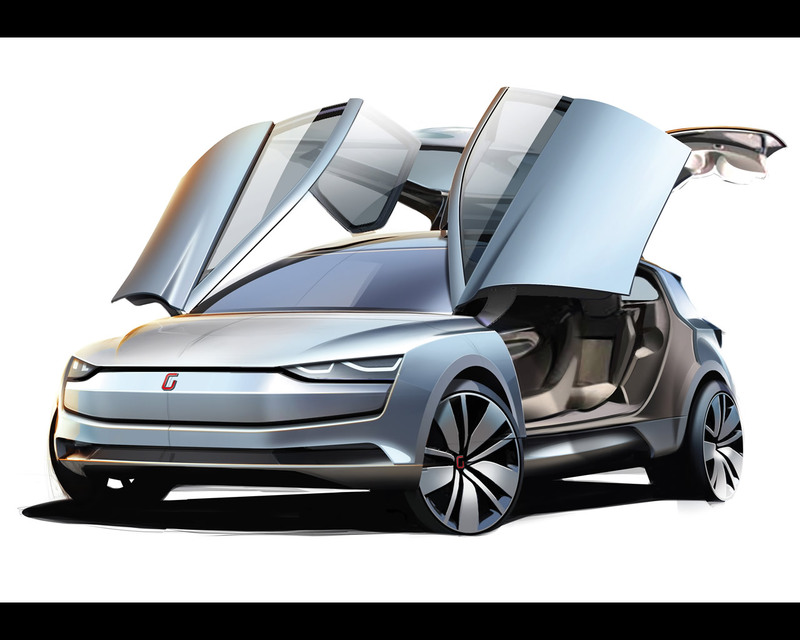 For the upholstery of the interiors, the Color & Trim department of Italdesign Giugiaro developed a new project, in partnership with Alcantara, which enhances the welcoming yet hi-tech feel of the interior, emphasizing the innovative, light architecture. 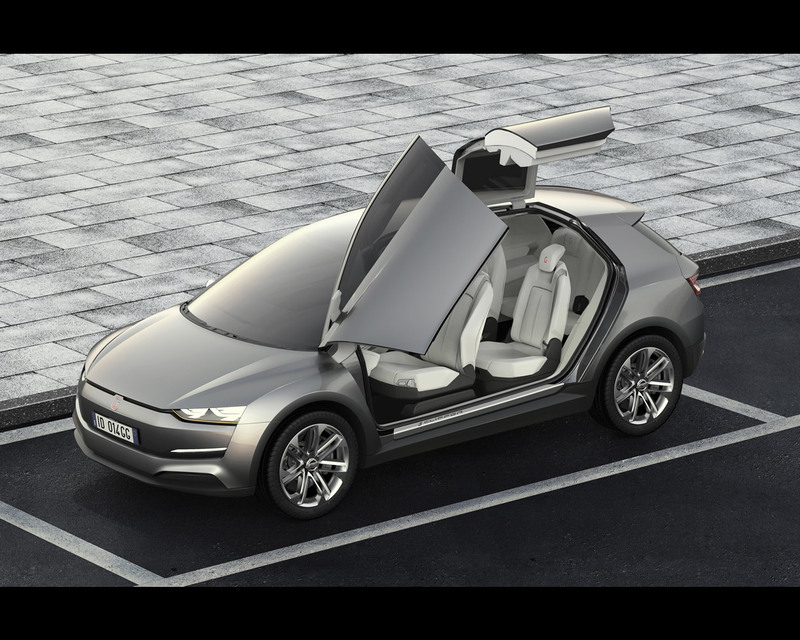 The very essence of this hi-tech, electric vehicle designed to accommodate up to six occupants means that Ital Design Clipper is perfectly in step with the times. 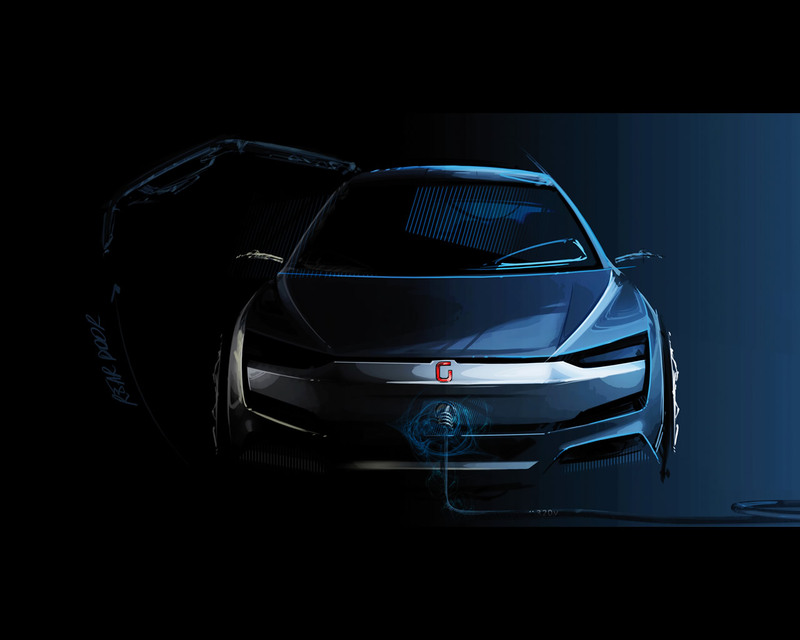 Thinking of a world that is constantly connected and always interacting, Italdesign Giugiaro developed an app that allows car occupants to stay connected with each other and the outside world: Carlink. 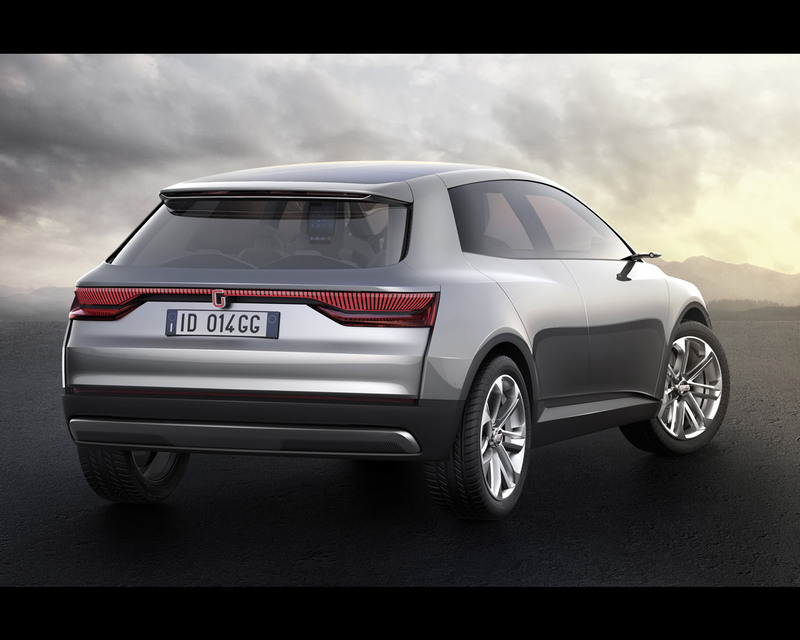 The car's entirely electric set-up and the use of the MQB platform with its flat floor dictated the overall look of Ital Design Clipper also in terms of the design of the exterior. Ital Design Clipper has a deliberately functional setting which is designed to make the best possible use of interior space, so the driver and passengers are guaranteed the highest level of comfort. The curve of the waistline traces a sleek line from the front bonnet along the side of the car all the way to the C-pillar, giving Ital Design Clipper a dynamic, sporty look, further emphasized by the design of the wheel arches, which merge progressively into the side.